With the Nation’s fastest growing veteran population and the greatest number of veterans in the workforce per capita, the Secretariat maintains a particular focus on employment of our newest generation of veterans who have the new and current skills needed here in the Commonwealth. 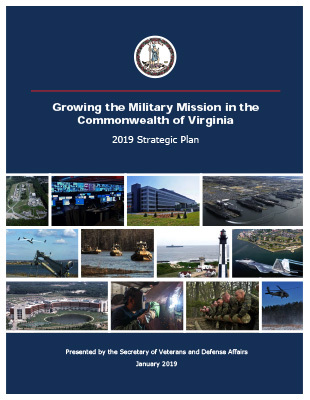 April 9, 2019 — Virginia has 725,000 Veterans across the state, many of which live in our rural communities. Who speaks for them? RHV talked with Carlos Hopkins, Virginia Secretary of Veterans and Defense Affairs. The fastest growing veteran population in the Nation. The greatest number of veterans in the workforce per capita. The largest percentage of women veterans. The largest percentage of veterans under the age of 28. 1 in 10 Virginians is a veteran (approx. 800,000). Added more Veterans to its workforce than all other states put together. On November 11, 2015, Virginia became the first state to functionally end veteran homelessness. Virginia is the first state to convene a summit, inspired by the Governor's A Healthy Virginia plan, with key Veterans Administration (VA), state, and private health provider leaders to accelerate access to health care for veterans. Virginia is the first state to develop provider agreements between Federally-Qualified Health Centers and the VA (partnerships at 22 sites throughout the state). Virginia was the first state to file VA Benefits electronically. Virginia was the first state to create a unique program to employ former military medics and corpsmen in Virginia’s health systems. Plans, coordinates, maintains situational awareness, and employs forces for homeland security and homeland defense in order to respond to any incidents within the Commonwealth.